This New York Times article mentions that with one year of data that 35% of teachers are misranked and with three years of data that 25% of teachers are misranked. Therefore, I would say that if we lean heavily on the data that we will be incorrectly "dealing with" 25% of teachers -- ticking off good ones and making them leave and rewarding bad ones. We can do better than this administrators and school boards. Come on! Excellent reflection of a global collaborative project for younger kids. Excellent Write up of a middle school global collaborative project. Excellent article on the current trends on twitter and a discussion of impact versus influence. This tool is changing. This data-heavy article shares how and why. GREAT read for anyone in social media. I enjoy the flylady. I know this is an older podcast but when I'm in "crisis cleaning" mode, I download this onto my itouch and clean. The book is great. Some of you need this right now! HOw could we apply this to handling tasks in the classroom? An index of how qr codes are being used in librarires on the libsuccess.org wiki. Carolyn Foote nominates teachers as her "persons of the year" - yes, teachers do deserve more respect. The funny thing is the backlash that would happen if this happened -- so many people do not respect teachers and what we're doing! Thank you, Carolyn for the post and the shout out in the article. Teaching is truly a noble profession! Put Your Finger to the Saw? How much to you trust your technology? Image via WikipediaThe Great Blondin was the first person to walk across Niagara falls on a tightrope. At first the crowds came out on droves. Then, it became just "old hat." So, to liven up his act, he asked the crowd one day, "how many of you believe that I can walk a man across in a wheelbarrow" - everyone raised their hand eager to see him do it. OK, "who wants to do it?" No. one. No one. Finally, his manager put his faith in the Great Blondin into action and hopped in the wheelbarrow. He made it. It is easy to have faith -- for others. I love it when someone goes through a struggle. You have cancer and everyone says, "you're going to be ok." Well, that is fine for them, they don't have to face the chemo and all that goes with it. But we do this with technology all the time. Oh, just do this, or do that - it will improve your test scores. But do we REALLY believe it. Talk is cheap. Give me action. Putting your finger to the saw? OK, this video almost makes me sick. The inventor of the SawStop, a device that stops sawblades before cutting off your finger. After first demonstrating with a sawblade and a hotdog, he then USES HIS FINGER. Yes, putting his finger to the blade, literally, he tests the sawstop with his finger! You believe that technology can improve education. You think it can help students become more engaged. Will you put your finger to the blade and DO IT in your classrooms? So many times at conferences I meet people so excited about the potential of technology but full of excuses for why they cannot use it. This or that or the other. You can't do everything but you can do something. If it works, DO IT! If it doesn't, FORGET ABOUT IT. But let's stop talking and start doing. Let's put our finger to the blade. I've done it in my classroom with carefully selected technologies that fit with research based best practices that are proven. When planned and done well, it works. That being said, some technologies aren't trustworthy - some websites aren't either. Know the trustworthy ones - test them, use them. Use what works but please, let's don't just talk about it. Lip service is like room service that never leaves the kitchen. Lots of promises but nothing to fill the belly. Great summary from Dave Cormier of top educational news of 2010. A great read and also something perhaps educational techonlogy college profs should discuss with their classes as they work to understand change. So, one can win an edublog award with 100 something votes? Goodness sakes? Are that few people voting or are there just too many categories and too many nominees in each? I don't know. I responded to Kristen's reflection that social media is overrated with this comment. "It is also a matter of taking the time to self promote! I know for me, in the past, I've sent out tons of emails and messages on facebook - asking people to vote. We sent messages through our Nings and through every vehicle we could. This year with a looming book deadline, I had to ask myself if it was something I had time to do. I didn't. In retrospect, maybe I should have but really - if that is what it takes to win an award. I don't know - I guess the crunchies are important and that works the same way although I'm so tired of hootsuite reminding me to vote in that doggone award! So, I would say it is a function of PERSONAL connections and also a PERSONAL desire and willingness to put oneself out there and say "Hey I want to win, please vote for me." It is tough - when you do that you get a backlash but when you win an award - you win and no one really asks how you got it. So, I guess it is just what we have to live with for now. Thank you for some great reflections and for putting yourself out there. Good luck and congratulations." That pretty much sums up my thoughts this year. We didn't put out these awards through our very active flat classroom groups or anything. December was just too stressful to run a campaign. This, however, is just the nature of the beast - like it or not social media, voting, type campaigns and awards are the nature of "the beast ' and we have to make time to run the campaigns if we want to thrive in the space. Wonderful Blog post that you should share from the Tempered Radical, Bill Ferriter. It is about how one tweet from Karl Fisch to work with Kiva to help loan money to those who can create a business in another part of the world led his class to create a Kiva Club and how that one tweet went on to change the world. I would add this -- one tweet cannot change the world but it can be the spark to ignite an inferno of positive change! Great post. 1) Difficult to get to the local hard drive -- just supposed to be a temporary "shelf" - this from one who was taking screeenshots. 2) Another had problem using it with his mifi card. 3) A third didn't like the absence of some buttons. It is supposed to be a cloud device and has apps on it. Mixed reviews from the panelists. Doubt I'll get to test it, but it will be interesting to see what happens with the device. The question I have in rural america is that if this device can only be used in the cloud - what happens when you have a clear sky? (No internet) and NO ACCESS? Bandwidth snobbery is easy for people who live in areas with consistent cell coverage and wifi everywhere but that isn't the reality of most of us in the real world. Funny take on this poem technology style. Google eBookstore: Another new way to Read? Google eBookstore is now live. I see a James Patterson Book, the Gift in the top left hand corner. As well as Patricia Cornwell. I see three free ebooks - somehow not sure how they came in. How do you read on Google ebooks? It tells you there are several ways to read books from the Google ebookstore: android, iphone, ipad, itouch, the web, and for Nook and Sony with the Amazon Kindle strangely absent. The CNN article points out that Google books have actual page numbers, versus the Kindle's location number which actually marks the exact point where one make a mark. The same article goes on to say that Google takes 30-48% of the purchase price into their coffers. It also says that small booksellers can have their own stores within this space which is pretty interesting. To me, the more games in town the better, at least at this point -- although my prolific reading means I love the Kindle as there are so many free books from authors I love (I read the Kindle Nation Daily to see the updates on this.) I love my Kindle unapologetically - it has improved my life, but rather, I guess in many ways it is the books that I read that have improved and Kindle is just the vehicle. Also, the little known Kindle refresh which lets you access your kindle highlights like flashcards and review what you've read keeps the most important things in reading in my mind. If you go to http://kindle.amazon.com/ you can manage your kindle and tell it to sync highlights as well as setting up the refresh feature and whether you want to review your notes every 3 months, 6 months, 9 months or a year! This is a powerful feature! Interestingly, as comparing the Google bookstore above to the best sellers in the Kindle ebookstore below there are two things that are noticeable: 1) the Kindle prices for best selling books tend to hover around $9.95 and 2) there are a huge amount of free books and some games available for free on the Kindle. Either way, what happened in the music industry in the last 10 years is hitting the publishing industry full steam. The Herd of the Unheard: The Long Tail Tipping Point in the Ebook War? there are a whole lot of "small" authors who are ready to be heard waiting in the wings tired of being turned down by aquisition editors. This herd of the unheard may just may gravitate towards the hugely profitable model of Amazon giving 70% to the authors who sign directly with Amazon. So, it is cheesy, ok, but I still pull out this old video I made (and sang) with pictures from around the world of how kids are using Web 2.0. This was back in 2006 and looks it, however, it is funny that some of these sites are still here and just now getting into prominent use. Many of you may not have seen this back in 2006 as I only had a few hundred subscribers. Just laughing at the thought of teachers everywhere flexing their buns and doing calf raises behind their desks when I came across the TechCrunch article about FitFu, the app that wants to get you moving behind your desk. The founders of crunch-fu and several other apps and working to help people fit extra movement into their day. It is so important to GET MOVING however you do it. Not sure if the social aspect will motivate people -- it could. If it does, great. AS you may know, the Couch to 5K app has helped transform me into one who can run and become more fit, but one thing I know -- good old fashioned sweat is what helps one get in shape. Guess we'll see. Meanwhile, we'll keep our eyes peeled and anything that helps us get more fit is great. Image by teach42 via FlickrOver 100 entries via Twitter, comments and Facebook! Cool. Our winner of the Lenovo m90z is Pam Nichols for showing appreciation and thanks to her fellow teachers at Lakewood with her Animoto video. It is interesting that this one was picked out this afternoon. (So, it was the last day of school and I let the students draw a name from the entries!) I was thinking how cool it was that she did this! The nonprofits and charities - I've compiled a google doc and have forwarded it to Lenovo as they are managing the give away from all the many different bloggers participating in this season of Give Aways! Pam, I'll be in touch! I'm sitting here doing gate duty at the ballgame at the school working to pull all of the amazing nonprofits together and to submit your name and ask for your mailing address! A new m90z coming your way! Lining up promos for next year. 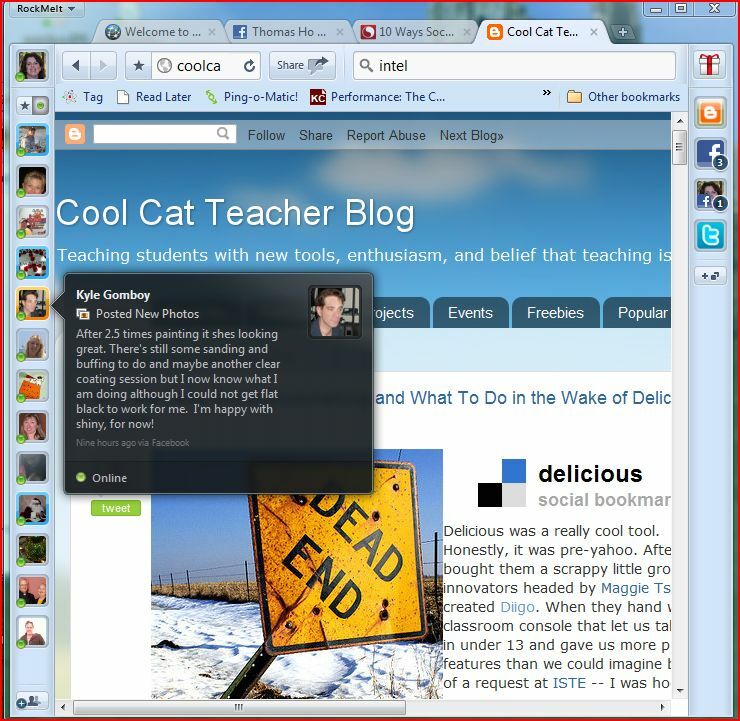 If you're interested, get in touch with me here by filling out my contact form at www.coolcatteacher.com. Although David Warlick loved Flock, I couldn't get it. But a few days a go I looked at my browser stats and saw "Rock Melt" among them. I looked into it and went on facebook and requested an invitation. Today I got an invitation from my friend Kim Caise to get Rockmelt and I've been loving it. Here you can see how updates from people pop up from Facebook. The left bar rotates friends. This browser is a social media enabled toolbox. When I want to integrate sharing on twitter and facebook, THIS is the browser I'm going to go to. Unfortunately I don't think it will work at school because it does hinge on Facebook, but I still just love it. The left side of the bar is a rotating group of friends. I put my mouse over them and can see what they are saying, open a chat window like opened with my good friend Lisa Parisi to the left. Then, on the right hand side I can add feeds and follow updates on Twitter and Facebook. It is kind of cool to see what is happening. The only drawback is that it doesn't seem to let me read @ replies from twitter. On the top also, there is a share button which lets me easily share to Twitter or Facebook. From what I understand Rockmelt is built upon Google chrome so it is very very fast. But also, maybe this is the future of browsing. I'm already finding that I use firefox for research and browsing because it is loaded with my diigo tools, zemanta for blogging, and everything else I need to blog. Then, I could use rockmelt for "social surfing" or research. I don't know but this idea of multi-purpose browsers is kind of cool. I will tell you that my first impression of rockmelt is a favorable one although I wouldn't use it at school, it is definitely an easy way to "converse" on the web. I have always felt FAcebook HUGELY cumbersome to move around in, but this... I like this. It is comfortable, fun, and as easy as walking up to a friend in the hall at ISTE and saying "hi." So, if you go to Rockmelt, hook it to your facebook account, and request an invitation, when others log on they can see who is asking for an invitation when they log in. Kind of cool way to distribute something if you ask me. Image via CrunchBase Delicious was a really cool tool. Honestly, it was pre-yahoo. After yahoo bought them a scrappy little group of innovators headed by Maggie Tsai created Diigo. When they hand wrote a classroom console that let us take kids in under 13 and gave us more privacy features than we could imagine because of a request at ISTE -- I was hooked. Now, Delicious is officially dying Delicious's future is up in the air as yahoo pulls the plug for good. looks to sell the venture. (update 12/17/2010 - Techcrunch says that Delicious needs to be "unloaded" not closed.) The good news is that you can go into Diigo and import your delicious bookmarks. You can also have it save to delicious (for as long as it exists.) under settings as well. So, when you log into Diigo, go into your settings and there is a place to import from delicious. While you are at it, join our educators group for some wonderful resources. Twitter is full of discussions with many commenting how they never use social bookmarking. Let me tell you how I use it. To send bookmarks to the classes and projects I work with. By using "standard" tags we can scrape the RSS and pull the best bookmarks by topic to feed to our students and my students as they research. I learned this from Alan Levine with their Horizon Project but it is so useful. Everything I tag "education" goes into my daily spotlight. I'm sending to students AND blogging at the same time! When I'm writing my book I sometimes search the web but I start with searching my own bookmarks. If I've bookmarked and written my comments then it is self-vetted even if the dusty neuron that it was implanted upon has long disintegrated it is there in my bookmarks! You might wonder who you can trust on the Internet - if you cannot trust yourself who can you trust! To create lists to share. On diigo, I can make lists and convert them to webslides that people can embed and I can put on presentations. Webslides are some of the coolest tools on Diigo. These may be different from how many people use bookmarking, but then again, Diigo is a very different bookmarking tool. Maybe they are what Delicious would have been if they had stayed owned by a small group of people. Anyway -- although the Gawker incident may have caused me pain, this one doesn't. Goodbye delicious, I barely knew ye. You are invited to a free presentation through Intel Education. http://engage.intel.com - anyone is invited to join the community and you are all invited to join the presentation. This presentation is the one I call my "fire code special" as usually when I do it at conferences the fire marshall tells people they cannot come into the room any more! So, join us. We'll have fun! Constructing the classroom for differentiation and reaching all students requires involved teachers, IT support staff, and principals. 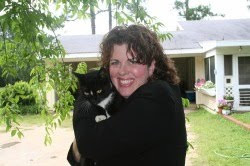 Vicki "Cool Cat Teacher" Davis shares how one can structure a classroom for learning and overviews the support structures required for successful differentiation with technology in this webinar geared to teachers and administrators. See where you need to go so that you can make plans for how to get there. Click the date below to register to attend. Brain McLaughlin, Suzie Nestico, and I are gearing up for our student summit presentations for the Flat Classroom projects. Many of the teachers are having their students present online in elluminate as part of the requirements for our courses. Really, how can you teach presentation skills without understanding online presentations? We're getting ready to present, but I always like to invite my "friends" and those who want to see how this looks. Each student takes in a jpg file and we use the microphone (sometimes webcams) for them to present and link up. We start in about 28 minutes from the time of this post! See some of you there! Edublog Award Voting Closing Soon. 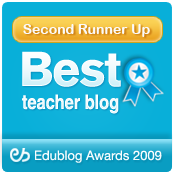 Just a note that Edublog Award voting closes sometime today. Thanks for the tweets of those who have nominated me or voted for some of the projects that I work with. It means so much. It is so interesting that somehow these awards recognize many of the people that for whatever reason "cannot" win other awards. Private school teachers, those not "in" with their political powerhouses, and international teachers are often left without any mechanism to recognize their work. For this reason, perhaps, for me, being included on the short list is very meaningful. Here are the nominatios I have open. Two in category of Best Wiki. Westwood Wiki and Flat Classroom Wiki nominated in best educational wiki category. Finally, as I mentioned in my 5 year old Blog post, it is indeed a tremendous honor to be included in the list for lifetime achievement. I do believe that the voters will make a good choice on this and also just want to say that perhaps that award should go to someone who has been in the educational "public" arena for longer than five years. Again, being nominated is a huge deal to me and actually brought tears to my eyes. Five blog years can seem like a lifetime. Thank you again, for those who take time to vote. If you're a legitimate educator with an opinion -- no matter how you cast your vote, you give more credence to these awards and I ask you to go vote and let your opinion be known. Again, thank you for those who have voted. Tis the Season to Give Away an M90z Computer: Enter Now! This amazingly cool HUGE touchscreen computer is great for classrooms and homes. 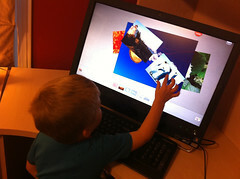 If you love your interactive whiteboard, you can play the IWB games on this computer and let the children use their finger on the touch screen. Instead of having one big IWB in the room, with this device you could have many devices. 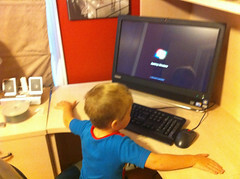 This has become our main family computer set up for studying by my third grader who needs a lot of hands on technology facilitated learning and studying helps. He uses spelling city for spelling and lots of different math activities from across the web! This contest is designed to promote GIVING. So, you - (any individual of any kind) may enter one of two ways. 1 - Give Help - Help others by selecting a tough problem or question and share your answer in the medium of your choice. (Video, blog, multimedia, glog, audio). You may enter three ways per entry (so, give help x3 and give thanks x 3 = 6 entries) by sharing a link to what you’ve created. 1 - Twitter - Tweet your response @coolcatteacher and include the hyperlink. Make sure you follow me on Twitter so I may dm you if you win! 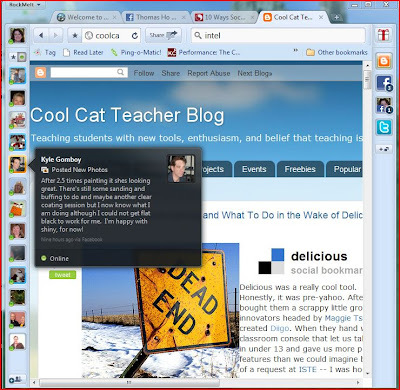 2 - Facebook - Fan the Cool Cat teacher fan page http://www.facebook.com/pages/Cool-Cat-Teacher/143588425657314 and leave a message with the link to what you have done. 3 - This blog - Leave a comment here with a hyperlink about what you have done! A winner will be randomly selected from one of these three locations. We need names of institutions. I will submit them to Ivy Worldwide, the coordinator of the give away. 4) Must have a concrete use for 5 touch-enabled m90z’s. Please include the name of the organization, a hyperlink to their website, and a contact name in the comments below. You may also email these to vicki [at] coolcatteacher dot com. Many teachers are starting to build apps or want to know more (me too!) So, here is a page that talks about mobile app builders from the read write web. I like their innovative use of Google Spreadsheets to share information and keep it updated, although I Prefer to use diigo lists. Excellent post from @copyblogger on blogging. For those who think blogging is like writing essays - think again! Great post. "Students are encouraged to submit videos to the American Association of School Librarians detailing how their school library and technology empowers them to be Learners4Life. Along with prizes for the winning students and libraries, the winning video will be featured on the AASL, Cisco, External Link Icon and SchoolTube External Link Icon web sites and social networking platforms. Submission entry will begin January 4, 2011, and the deadline for submissions is March 18, 2011. Three winners will be chosen - one each from the elementary, middle, and high school levels. Winners will be announced as the kick off to School Library Month on April 1, 2011." How to make your own app. We're considering building one for the school and am following these instructions. At the Cape of Good Hope in October 2010. Birthday. The birthday of a blog. This one. Little did I know how a blog could change one's life. Blogging has improved my life in so many ways! How could life change so much in five years? Not only have my children grown older but I have too! Hopefully wiser. This blog has taken me to many places and met many faces -- over 20 conferences and counting, in fact in four different continents! I've been to Qatar, India, South Africa and heading to China in February with my oldest son and some more students. This week I was up until 4 am working on a book deadline for the book that will come out with Pearson Publishing in January 2012 that I'm coauthoring with Julie Lindsay. Two new businesses and a nonprofit and thousands of students later. What excitement. Maybe it has even helped some of you in some way. I hope so. I remember coming back from GAETC in 2005 in tears. Crying because I was failing as a teacher and all this new "stuff" had happened -- blogs and wikis and I was clueless. I knew nothing and I had done nothing. I felt like a failure. So behind. So irrelevant. Kind of like looking off the continent of Africa over the Cape of Good Hope in the picture I snapped to the left. Not seeing the beauty. Only seeing fear. I was afraid of what I hadn't done. Afraid of doing anything. Then, after a good week long pity party. I dove into wikis and then after that -- blogging to share what I had done with wikis. Thus embarked a journey. In some ways perhaps my dream is for this blog to be the Blog of Good Hope! May the words upon these pages inspire people beyond my lifetime. Do you abort their dreams before they happen? "If everybody says it is a good idea, you're too late." We have to do some things that are half crazy and totally unheard of in order to blaze a trail. Things worth doing well are worth doing poorly until you can do them well! What are you doing that is new, different, and unheard of? I just have to say a quick thank you. Thank you to my husband, Kip for being the one who believes in me no matter what. I owe him my heart, my life and everything here you see on Cool Cat Teacher is possible because he encourages me and lets me be me. We may have lost everything we owned in the flood of 1994 when that pecan grove went under water, but we found everything in each others eyes. I wouldn't trade it for anything. I'm also thankful to my Mom, sisters, Dad, and nieces and nephews. When I travel, they all pull together. What a blessing to live right around the corner from everyone and have them as my best friends. But most of all, I have to tell you this. And it is tough sometimes to say this, but my conscience compels me. Let me tell you why it is tough, Ewan McIntosh and I had a revealing conversation in South Africa about what causes people to "unfollow us." Ewan is an agnostic and I am a Christian. When he shares his faith and I share mine we have both found that we lose followers. I guess people don't want to hear about what people believe. He says people push back when he talks about his kids. That is odd. I don't read Ewan because he's a newspaper but because he is a news person - his thoughts are newsworthy to me as are many others like Stephen Downes, David Warlick, Joyce Valenza, Doug Johnson, Kim Cofino, Mr. Robbo, and more. However, since I am thanking people and since I believe with all of my heart that God Himself called me to blog. I have to thank Him. I cannot explain why this blog has 20 thousand something subscribers nor can I explain why my blog is blessed with hundreds of thousands of hits every month. I don't have to explain why because I know WHO. The WHO is God and and I forever grateful to Him and His Son, my best friend, Jesus, for calling me to this AND they deserve all the credit for every honor and good thing I've ever gotten in my life. I give the honor to Him who does beyond what I could ask or imagine and fills me with joy. As for all my faults and mistakes, those are mine to blame for and I'm so sorry for when I mess up but I am so enormously grateful to be forgiven for those mistakes and that I don't have to carry that weight any more ever again. It is not that life is easy - the only people without problems are in the graveyard - it is that life is fulfilling and abundant with joy in the midst of problem. If that causes people to unfollow me because they think all Christians are this hateful, mean, nasty, judgmental type of person that the news media talks about then they haven't been reading this blog for very long and don't know me anyway. Because I believe my job is to love people - made in God's image -- every single one of you -- like He does. You have a choice what to believe. I appreciate my friend Ewan and respect his desire to choose his own faith. I will not unfollow him because of his faith. I have many other friends of many other faiths. I love you, my friends, and respect your ability to choose for yourself what you believe. If it costs me, then, it does. Because this is the five year birthday of this blog and I cannot ignore the soul and heart of who I am and Who He is. As you know, you won't get this much from me, but today, it belongs in this post. You, my friends are beautiful, wonderful people. You are so gracious, wonderful, and yes, many of you are struggling. And yet being part of this blogosphere as a reader, commenter, blogger, or just one who prints things off and shares them in the teacher's lounge -- being a part of something bigger than this blog is truly one of the greatest privileges of my life. 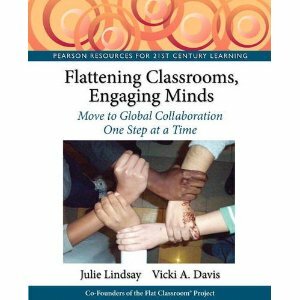 I have to name one other name -- Julie Lindsay, my co-founder of Flat Classroom projects and one of my dearest friends. Thank you for bringing out the best in me and loving me when I'm at my worst (2 am when I'm exhausted!) You are brilliant and the hardest working teacher I know. You bring out the best in me and are incredibly patient. If you've ever commented. Ever generously nominated me for anything (those edublog award nominations are so incredible - thank you for putting me on the list again) or just linked -- thank you. So, now, we've got a little family time planned tonight and actually - I'm going to go get some steaks! Been gone a lot in the past week s- too much and now I'm home to stay until PETE&C in late February and on to Beijing -- glad to be home. 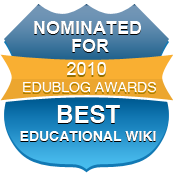 FYI - Yes, thank you for again nominating me and my wikis for Edublog Awards. The nominations mean a lot as does anyone who takes time to vote. This last nomination for lifetime achievement is perhaps the biggest surprise. I'm not sure that five years can be a lifetime and if one is voting on the educational spaces, perhaps that award should go to someone who has served a bit longer. However, the votes belong to the people and I believe that the process will work out who is deserving at this juncture in time. OK, so we're eating steak tonight at my house and yes, I have enough points on weight watchers to eat it - gotta celebrate around here. Momma's blog is 5! This insightful paper discusses many of the issues we see between global collaborators in online teaching environments and is providing some research that will underlie some of what we're sharing in our January 2012 book with Pearson Publishing about Global Collaboration. Up late working on the Flat Classroom book and I chatted Julie for encouragement. She sent me this video that has just been posted from remote Oman to this semester's Flat Classroom project and I remembered why I'm doing this. It is a joy to work with these students and teachers. They are truly among the best in the world. Although most of us live in out of the way places and many of us in schools with underfunded budgets, the power of connecting these students to talk about and discuss technology is incredible! This article presents the results of their study of student engagement and the conditions in which student engagement was highest. I enjoyed reading this article on Facebook and how the standard interface encourages people to try new things. In some ways we should consider how this could help us in education - if we had a standard educational network that was popular and kids could add chemistry or other subjects like a widget - could learning become more attractive? My dear friend Kevin Honeycutt is, to me, everything good in a keynoter and a person. He is a family man. He is smart. He is musical. He is hilarious. And on top of that he is so so right on so many things. He has long been my friend and I hope will continue to be. I first saw this three years a go at NECC - we had a band "Tweetwood Mac" out of about 5 -6 ipods (before the iPad was out.) Sitting on the floor with him messing with gadgets is truly the highlight of every NECC/ ISTE for me. That is what he does - he "messes with things" and as he does it he will teach you a whole lot! "Don't marry Apple, Android has a lot to offer also." Watch this video for a great laugh and a look at just a great person in education. Way to go, Kevin, I'm a huge fan. And I hope against all hope I can get to Podstock one day! Kevin is a great guy - hope you get the privilege to hear him speak one day. Brian Mannix writes about his classroom monitoring portal that he has set up. He has done a very good job of this. 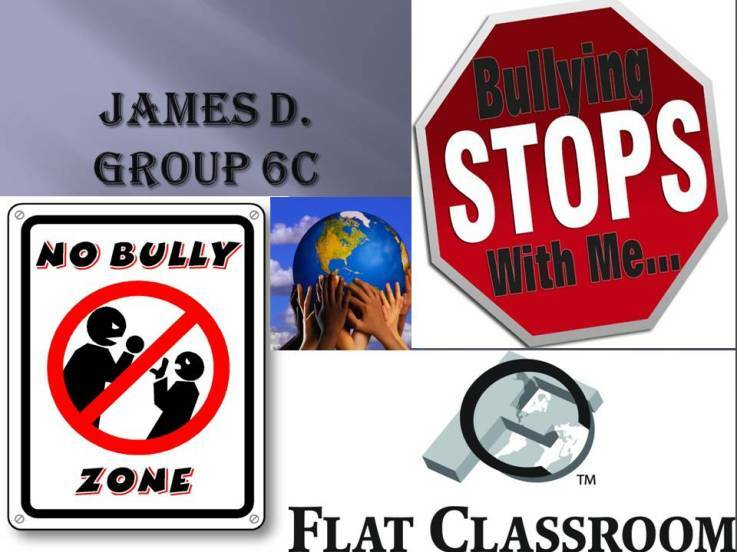 This is an online classroom management strategy that Julie and I will be discussing a bit in the new book from Pearson Publishing in January 2012. Brian as part of our certified teacher program has seen a preview of this book. Some great videos including one by the American School of Bombay that features a connection facilitated by the Flat Classroom work we've done in India. Lots of great work here. I think the only thing that bothered me a bit is to see kids typing slowly with two fingers when they could know how to type properly and be at least 2-3 times more productive. Great videos. Here is a video of a panel presentation on "the Promise of Digital Learning" to educators within the state of Georgia. The other panelists were just a delight as well as our moderator. "The Promise of Digital Learning" was a panel at the 2010 Georgia Legislative Policy Briefing discussing how Georgia can take advantage of the coming disruptive innovation of digital learning. The panelists included: Susan Patrick, President and Chief Executive Officer, International Association for K-12 Online Learning (iNACOL); Chris Klaus, Founder and CEO, Kaneva, Inc.; Vicki Davis, Co-Founder, Flat Classroom Project and teacher and IT Director at the Westwood Schools (Camilla, Ga.); Moderator: Sajan George, Managing Director, Alvarez & Marsal." If you just want to see my part, here it is. Would love feedback of how you would answer these questions and what you would say to legislators about digital learning.